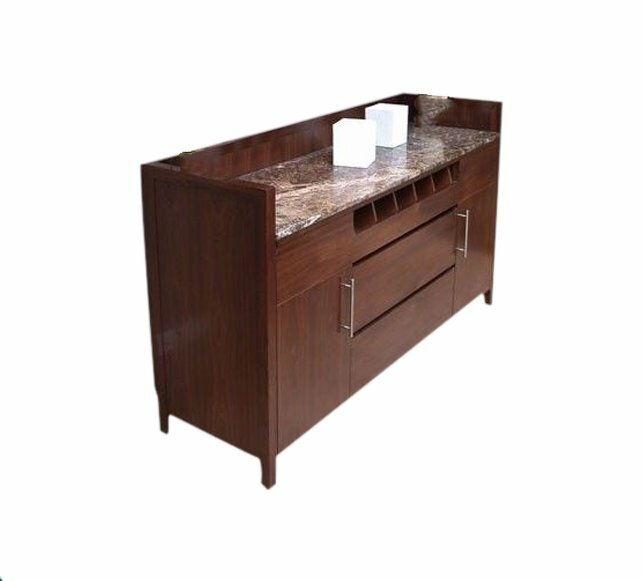 Meet & greet station made from lacquered wood, with a walnut laminate top, curved Perspex screen & steel plinth. Internal storage area had two door access. Fixed shelf. Built-in cable grommet & cable management. Wood finish: White matt lacquered body. Top: laminate. Plinth & door handles: Real brushed stainless steel. Contact us to discuss custom sizes & features. Meet & greet station made from lacquered wood, with a walnut laminate top, curved Perspex screen & steel plinth. Internal storage area had two door access. Fixed shelf. Built-in cable grommet & cable management. Wood finish: White matt lacquered body. Top: laminate. Plinth & door handles: Real brushed stainless steel. Dimensions (WxDxH): 600x400x1100mm. Ref: 4744 Contact us to discuss custom sizes & features.